I’m always looking for clever and creative ways to combine different items into something fun and awesome. When I stumbled across the beauty of how s’mores and unicorns seemed to be a match made in heaven, I knew there was something awesome that could be created by combining the two. The end result? 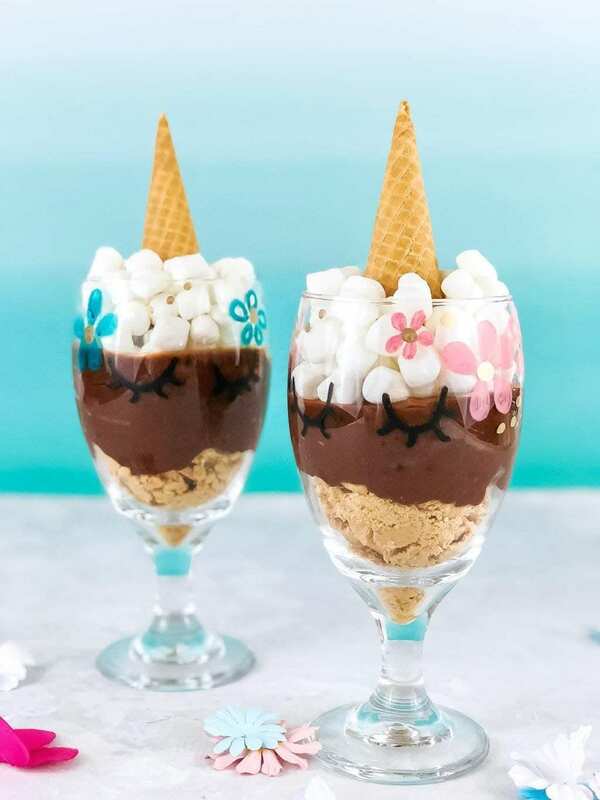 S’More Unicorn Pudding Parfaits. Not only are they adorable, they are delicious as well. I love how the s’more flavor screams spring, summer, and fall and is neatly presented as a unicorn that truly no one can deny. And to be honest, this recipe is one of the easiest “themed” items that you may ever make. Seriously, it’s that simple! The “hardest” part of the entire recipe? Mixing together the ingredients of the instant pudding. After that, it’s easy peasy. 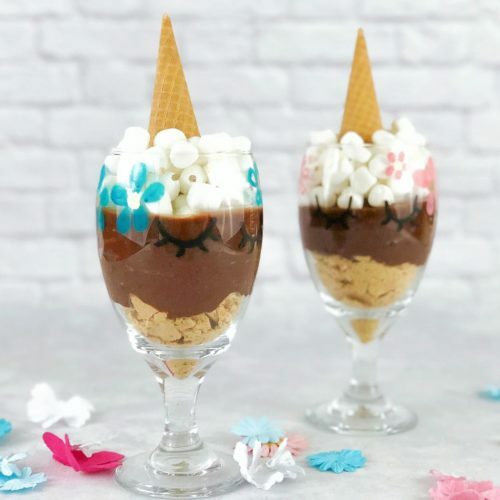 If you are looking for an awesome addition to a unicorn-themed birthday party or even a super adorable centerpiece at an upcoming baby shower, why not give this Unicorn S’mores Pudding Parfait a try? 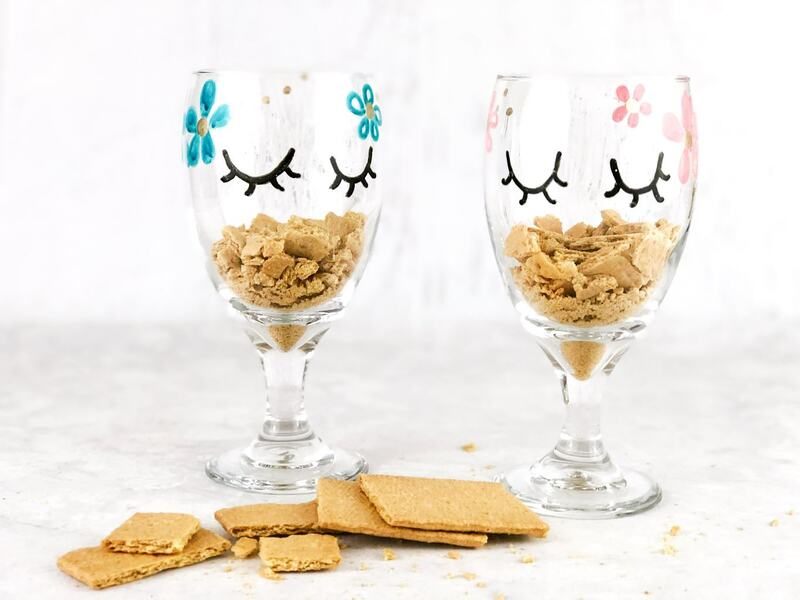 Not only are they delicious, but it’s certain to be a hit with everyone who has the chance to taste test these fun creations! Better make a few extra, just in case! 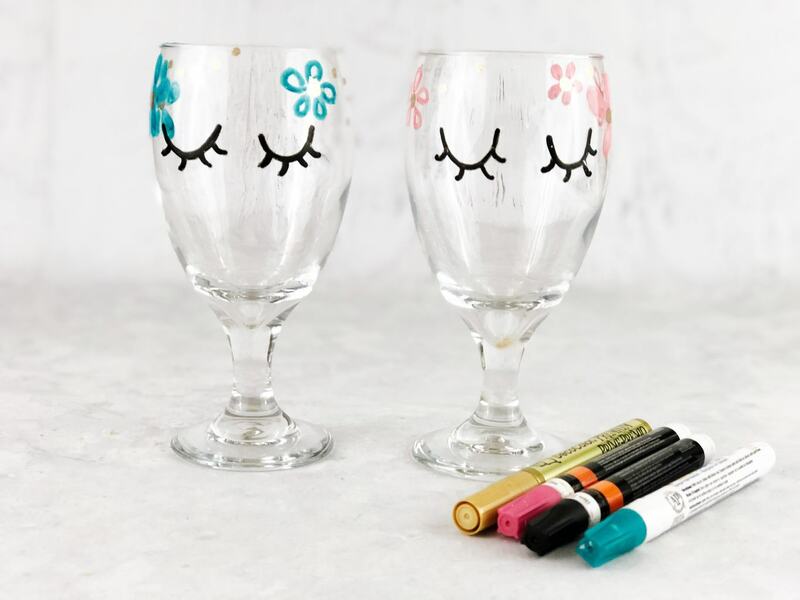 Use the markets to draw simple eyes on the cup, and add cute flowers around the top to make them even more colorful & whimsical. This can be washed off glass later using dish soap and water. 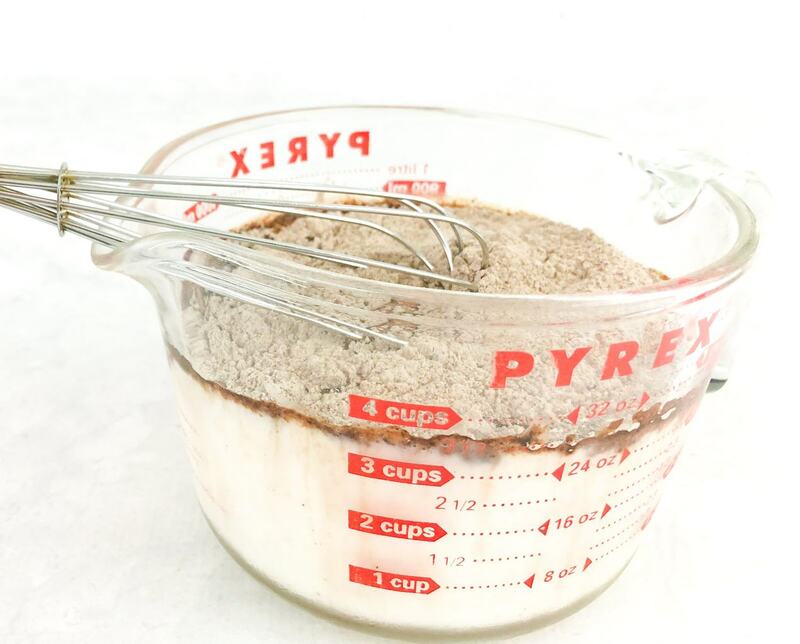 Prepare pudding with milk according to box directions, set aside in the fridge to chill. 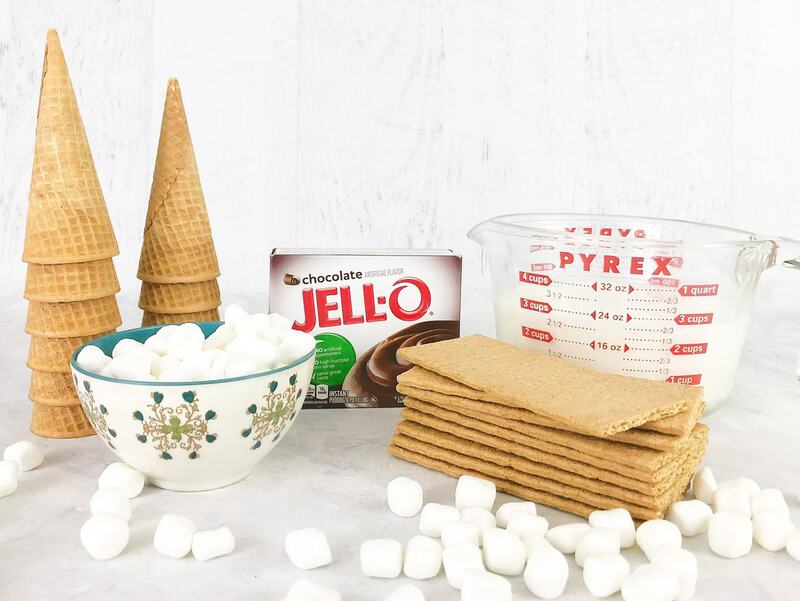 Next, build your S’mores layers. Add a layer of crushed graham crackers on the bottom, then a layer of pudding. Place the sugar cone on top of the pudding, and then pack marshmallows around the edges for the final layer. Can be served right away or chilled in fridge. I love this recipe because it’s simple, literally anyone can make it, and it’s fast to put together before a unicorn themed party, baby shower, etc. The kids could even join the fun and help make them too.